The big news today is Ed Milliband’s announcement that, if elected, the Labour Party would cut the maximum tuition fee payable by students in English universities from £9K to £6K. That will of course be broadly welcomed by prospective students (and indeed current ones, whose fees will be reduced from 2016 onwards). There is however considerable nervousness around the university sector about whether and how the cut of 33% in fee income will be made good. The proposal seems to be that the shortfall of around £3bn will be made up by grants from government to universities, funded by a reduction in tax relief on pension contributions made by high earners. I have yet to see any concrete proposals on how these grants would be allocated. I would like here to make a proposal on how this allocation should be done, in such a way that it corrects a serious anomaly in how the current funding arrangements from the Higher Education Funding Council for England (HEFCE) affect Science, Technology, Engineering and Mathematics (STEM) disciplines. For the record, I’ll declare my interest in this: I work in a STEM area and am therefore biased. In my School, the School of Mathematical and Physical Sciences at the University of Sussex, a typical student can expect around 20 contact hours per week including lectures, exercise classes, laboratory sessions, and a tutorial (usually in a group of four). The vast majority of these sessions are done by full-time academic staff, not PDRAs or PhD students, although we do employ such folks in laboratory sessions and for a very small number of lectures. It doesn’t take Albert Einstein to work out that 20 hours of staff time costs a lot more than 3, and that’s even before you include the cost of the laboratories and equipment needed to teach physics. Now look at what happens in the `new regime’, as displayed in the lower table in the figure. In the current system, students still pay the same fee for STEM and non-STEM subjects (£9K in most HEIs) but the teaching grant is now £1483 for Physics and nothing at all for Bands C and D. The difference in income is thus just £1,483, a percentage difference of just 16.4%. Worse than this, there’s no requirement that this extra resource be spent on the disciplines with which it is associated. In most universities, though gladly not mine, all the tuition income goes into central coffers and is dispersed to Schools and Departments according to the whims of the University Management. Of course the higher fee levels have led to an increase in income to Universities across all disciplines, which is welcome because it should allow institutions to improve the quality of their teaching bu purchasing better equipment, etc. But the current arrangements as a powerful disincentive for a university to invest in expensive subjects, such as Physics, relative to Arts & Humanities subjects such as English or History. 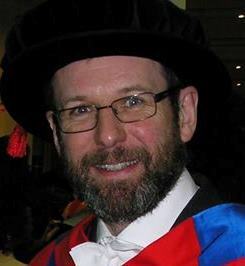 It also rips off staff and students in those disciplines, the students because they are given very little teaching in return for their fee, and the staff because we have to work far harder than our colleagues in other disciplines, who fob off most of what little teaching their supposed to do onto PhD students badged as Teaching Assistants. It is fortunate for this country that scientists working in its universities show such immense dedication to teaching as well as research that they’re prepared to carry on working in a University environment that is so clearly biased against STEM disciplines. To get another angle on this argument, consider the comments made by senior members of the legal profession who are concerned about the drastic overproduction of law graduates. Only about half those doing the Bar Professional Training Course after a law degree stand any chance of getting a job as a lawyer in the UK. Contrast this with the situation in science subjects, where we don’t even produce enough graduates to ensure that schools have an adequate supply of science teachers. The system is completely out of balance. 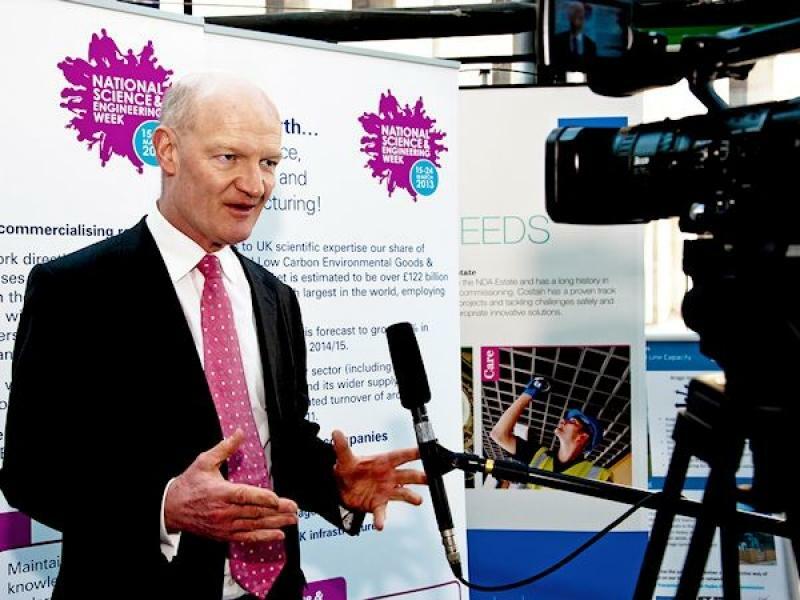 Here at Sussex, only about a quarter of students take courses in STEM subjects; nationally the figure is even lower, around 20%. Now there’s a chance to reverse this bias and provide an incentive for universities to support STEM subjects. My proposal is simple: the government grants proposed to offset the loss of tuition fee income should be focussed on STEM disciplines. 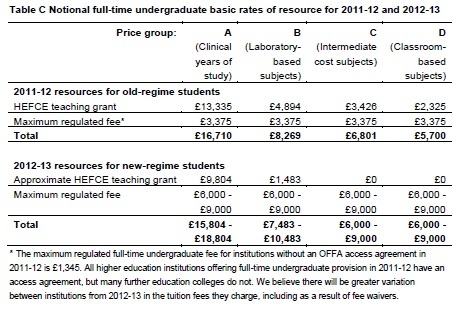 Income to universities from students in, especially laboratory-based subjects, could then be raised to about £12K, adequate to cover the real cost of teaching, whereas that in the less onerous Arts and Humanities could be fixed at about about £6K, again sufficient to cover the actual cost of teaching but funded by fees only. I want to make it very clear that I am not saying that non-STEM subjects are of lower value, just that they cost less to teach. Only time for the quickest of quickies today, but I have some very good news to pass on so, without further ado, here we go. 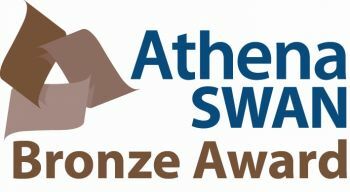 Today we learned that the Department of Physics & Astronomy at the University of Sussex has received a the Athena SWAN Bronze Award in recognition of our commitment to advancing women’s careers in science, technology, engineering, maths and medicine (STEMM) employment in higher education and research. The Athena SWAN charter has been running since 2005, recognising the commitment of the higher education sector to address gender inequalities, tackle the unequal representation of women in science and to improve career progression for female academics. This award has been the result of a huge effort led by Dr Kathy Romer but also involving many other members of staff in the Department and across entire the School of Mathematical and Physical Sciences generally. The Department scored at or above the national average in all key areas: student intake (UG, PGT, PGR), research staff, academic staff, REF submissions and so on. That said, the Athena SWAN process has highlighted several areas where improvements can be made, such as in the mentoring of female postdoctoral researchers, and enhanced levels of training in equality and diversity matters such as the influence of unconscious bias. We are very pleased to have received the bronze award, but there is still a very great deal to do. Many other institutions and departments have already progressed to the Silver or even Gold award, but our Bronze is at least a start! With next year’s general election already looming there are signs that the higher education funding system is likely to be a hot topic. The Conservatives, for example, are reportedly considering removing the cap on tuition fees (currently set at £9K per annum) while Labour is talking about reducing the figure to £6K. Labour’s idea is likely to prove popular among potential students, it will result in a reduction of fee income to English universities of a third, potentially leading to wholesale redundancies and closures unless it is offset by an increased contribution from the taxpayer to offset this cut. Responsibility for higher education funding in Wales, Scotland and Northern Ireland is devolved, so Westminster policy does not apply directly there although the knock-on effect of changes in England would be considerable given the number of students who choose to study away from home. The backdrop to these suggested policy changes is the obvious fact that the current system is unsustainable. Although there has not been a marked reduction in numbers of students applying to university since the introduction of tuition fees, it has become increasingly clear that the system of loans and deferred fees is actually costing the Exchequer more in terms of short-term borrowing than the old system. Moreover, there is a growing realization that the fraction of this cost that will actually be recouped in future is going to be much smaller than its advocates would like to admit. Recent estimates, likely to be revised upwards, suggest that 45% of student loans will never be repaid. On top of this there is the problem that the so-called “elite” universities have not succeeded in “widening participation” (as the phrase goes). Oxford and Cambridge both continue to take about 40% of their pupils from private schools; many other institutions. My own institution, the University of Sussex, takes about 86% of its intake from state schools, which is about the average across the sector. Although only a small fraction of pupils (about 7%) attend (private) independent schools, about 65% of those go on to University; only 24% from the state sector do. In my opinion, not all universities take widening participation seriously but even if they do (like we do at Sussex) it is difficult for higher education institutions to repair the divisions that arise much earlier in the education system. The average fee per term for a day pupil at a private school in the UK is about £3400; this rises to about £7800 per term for boarding schools. Since there are three school terms per year this means that the average cost per year for day pupils is £10,200, well above the £9000 per year maximum fee for university tuition. That says a lot for how poorly funded UK universities really are, even with increased tuition fees, especially in STEM subjects which require expensive laboratories and other facilities. Moreover, private school fees are payable upfront while tuition fees for students in higher education are funded by heavily subsidized loans which do not need to be repaid until the student is earning more than a certain minimum salary (currently £21K pa). When funding is tight it is particularly important that it should be targetted where it is needed most. For me that means to encourage more students from state schools to go to university. The principle I’d adopt here (and indeed in many other contexts) is encapsulated in the phrase “to each according to their need, from each according to their ability”. Parents who have decided to send their offspring to private schools have, in my view, already demonstrated that they can afford to contribute to their education at a level considerably higher than the current tuition fee for university students. In such cases there is no need for a means test to determine whether they need support from the taxpayer; they have already done that calculation for themselves. My proposal, therefore, is that students whose parents have decided to take their children out of the state school system should be deemed to be ineligible for state support for higher education. They should therefore pay the full fees upfront. I think there’s a case even for making such students pay for the full cost of their education which is not the £9K fee payable by Home/EU but the much higher fee charged to students from outside the EU, which is currently £17K at the University of Sussex. The money saved in this way should be used to provide better fee waivers and and maintenance grants for students from the state school system (on a means-tested basis). This could be accomplished by, e.g., a system of vouchers available to students from state schools in England; the rest of the UK could adopt a similar system if they wish. This would also be a step towards reducing the incentive for families to increase social divisions by taking their children out of the state system. As well as driving greater equality and stimulating social mobility, my suggestion would also correct a number of anomalies in the existing system. One is that students attending English universities who went to Schools elsewhere in Europe (including Wales, Scotland and Northern Ireland) are entitled to the same financial support as English students. However, most students from outside the UK will return home after graduation and there is no effective means of making them pay back their fees and loans because these are currently recovered through the UK tax system. In effect, therefore, the taxpayer is providing free higher education for these students and it is one of the reason why the default rate on student loans is likely to be very high. In my proposal this loophole would be sealed; unless a student went to an English state school they would not have the means to access HEFCE support. I have heard it said that this idea would remove choice. I don’t agree. Parents will still have the choice of sending their sons and daughters to private school if they wish. What it will do is remove part of the incentive for them to do that. Academics these days are caught between a rock and a hard place. On one side we have a government which seems not only malevolent but also utterly incompetent. I cite the recent example of the Department of Business Innovation and Skills, which has completely lost control of its budget, meaning that further cuts are likely to a higher education sector already struggling to cope with the instability generated by constant meddling from successive governments. On the other we have our students, who are definitely getting a very raw deal compared with those of my generation. Most are justifiably unhappy with the high level of fees they have to pay. Many also feel generally alienated by the way the country is run, for the benefit of the rich at the expense of the young and the poor. Recent campus protests across the country are clearly a manifestation of this groundswell of resentment, although in some cases they have clearly been hijacked by extremist elements who will protest about anything at the drop of a hat just for the sake of it. In between we have us academics, the vast majority of whom agree with the students that UK higher education is in a complete mess and that the UK government is responsible. However, most of us also believe in the importance of universities as places of research, scholarship and teaching and want to carry out those activities as best we can for the benefit not only of our current students but for society as a whole. So what should we academics who find ourselves caught in the middle do? Unsurprisingly, opinions differ and I don’t claim to speak for anyone but myself when I state mine. I think it’s the responsibility of academic staff to recognize the burden placed on our students by government and in the light of that do absolutely everything in our power to give them the best education we can. That means ensuring that as much of the money coming into universities from tuition fees goes directly towards improving the education of students – better teaching facilities, more and better trained staff and a better all-round experience of campus life. That is the reason that I did not participate in the recent strikes over pay: I absolutely refuse to take any action that would be in any way detrimental to the education of students in my School. Call me a scab if you wish. My conscience is clear. For me it’s not a matter of choice, it’s a matter of responsibility. So what about the recent wave of student protests? Again, all I can do is give my own opinion (not that of my employer or anyone else) which is that I believe in the right to protest – as long as it’s peaceful – but targeting universities is short-sighted and counterproductive. I’m sure that all the government is delighted that none of the latest protests have been in Whitehall, which is where the focus of complaint should be, but instead dissipated at arms length in a series of futile and divisive campus demonstrations. And if one of these protests causes enough disruption that it succeeds in closing down a university for good – and don’t tell me that this government won’t allow that to happen – what good will that have done?